Oliver Knussen, Composer And Conductor, Dies At 66 : Deceptive Cadence Knussen, who wrote symphonies, chamber music and operas, is likely best known for his collaborations with children's author Maurice Sendak on adaptions like 1979's Where The Wild Things Are. 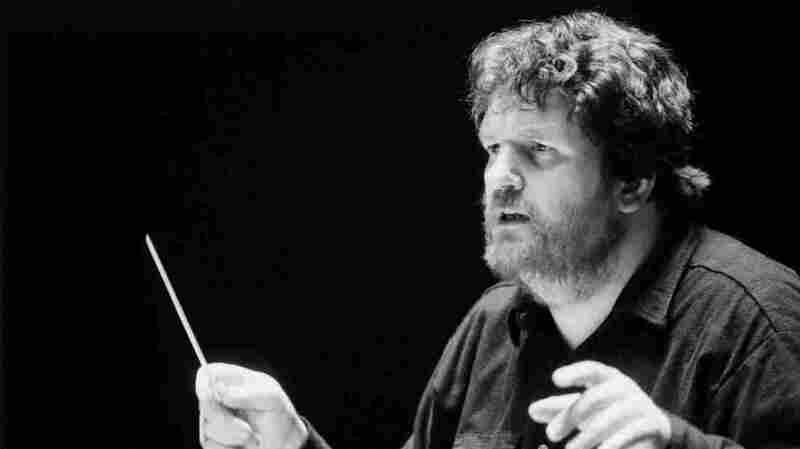 Conductor and composer Oliver Knussen, seen here in 1994, died July 8 at the age of 66. Knussen was born in Glasgow, Scotland, and grew up in London, where his father was principal double bass for the London Symphony Orchestra. Knussen conducted his first symphony with the ensemble when he was just 15. Knussen studied composition with Gunther Schuller at Tanglewood Music Center in Massachusetts and later was head of contemporary music at the center for eight years. He wrote symphonies, chamber music and operas, including a collaboration with children's author Maurice Sendak on an adaptation of Where the Wild Things Are. As a conductor, he was a champion of contemporary music and made approximately 60 recordings. A previous version of this story incorrectly stated that Oliver Knussen died on Monday, July 9. He died on Sunday, July 8.